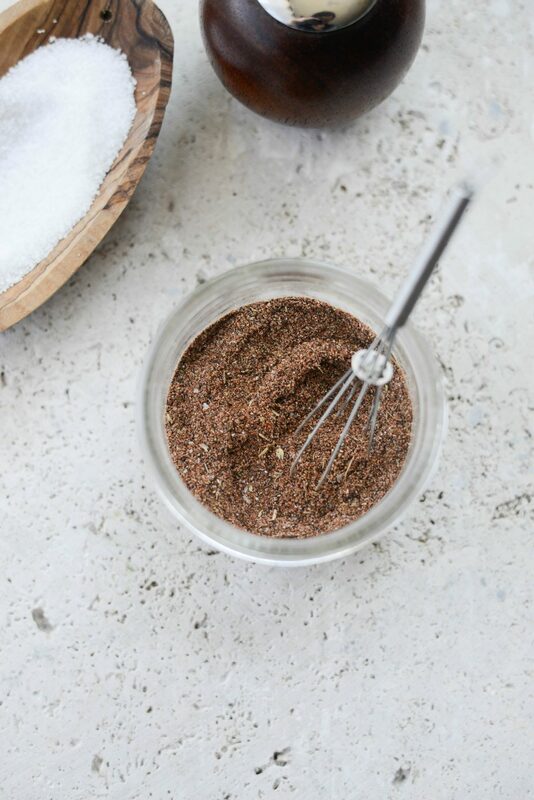 Season meat or veggies with the robust Chorizo Spice Blend. 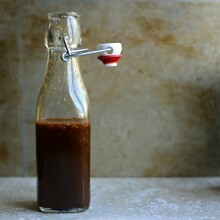 A plethora of herbs and spices, like ancho chile, cumin and coriander are combined make one robust seasoning. Yields about 1/4 cup. 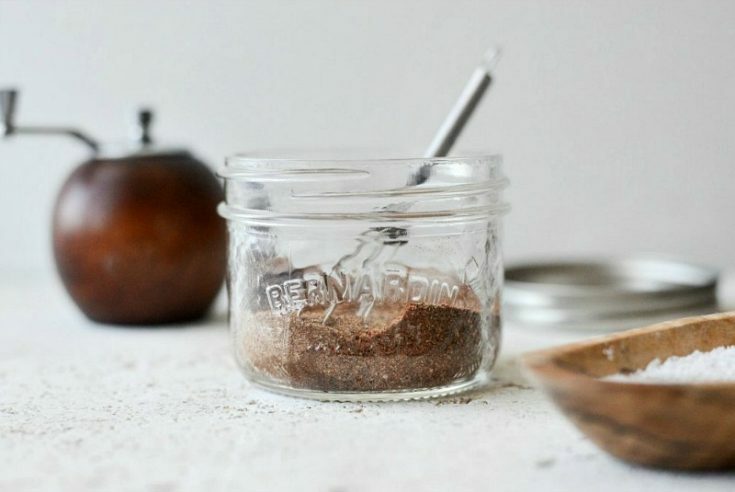 I’ve got another spice blend to add to our growing list of homemade spice blends! 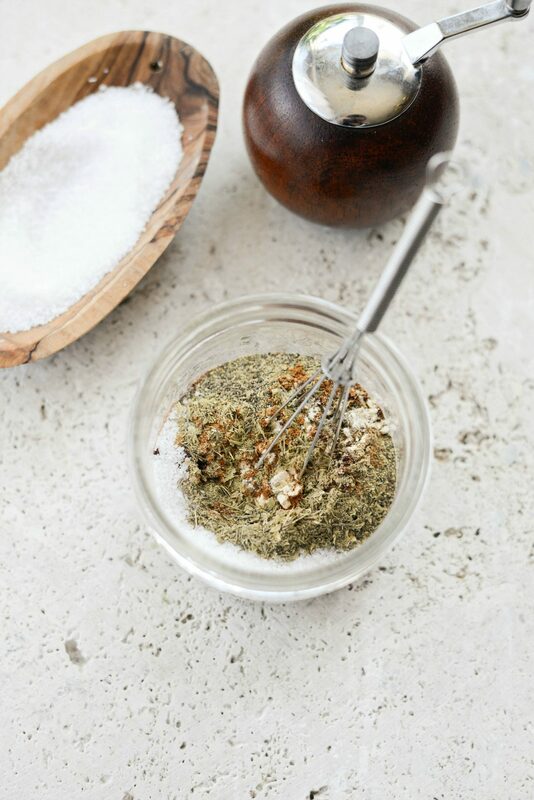 This homemade chorizo spice blend calls for a bunch of dried herbs and spices from your cupboard and yields on flavorful spice. Mix with ground pork or beef, or even vegetables and you will be amazed by the delicious chorizo flavor. Come back tomorrow because I’m sharing a recipe you’ll want to make asap! 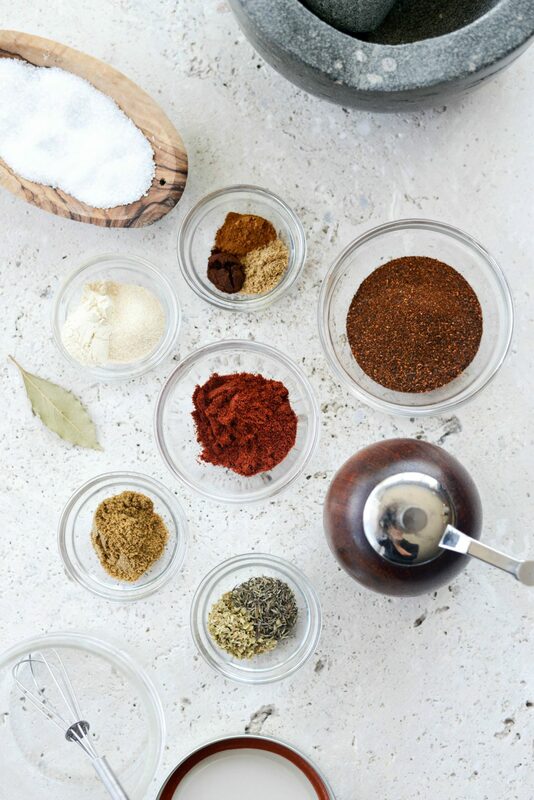 First gather the spices and your measuring spoons. 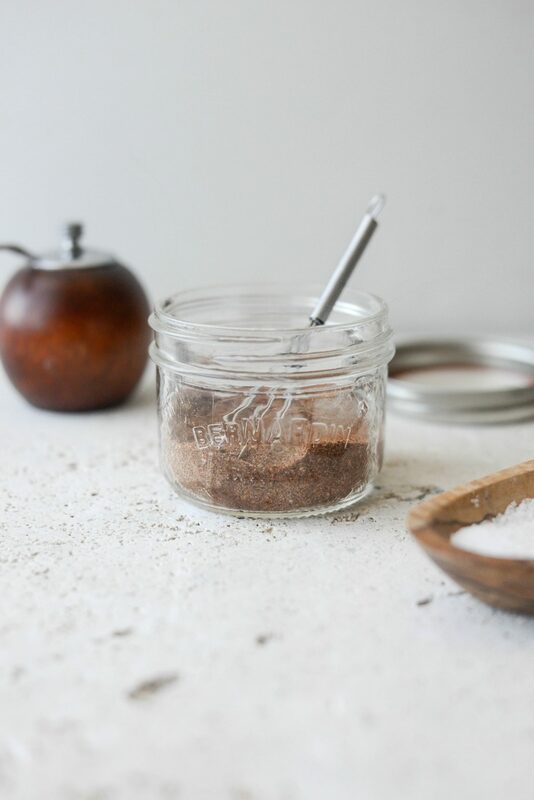 For this homemade chorizo spice blend, you will need; 2 tablespoon ancho Chile powder, 2 teaspoons paprika, 1 teaspoon kosher salt, 1 teaspoon garlic powder, 1 teaspoon onion powder, 1 teaspoon ground cumin, 1/2 teaspoon ground black pepper, 1/2 teaspoon dried oregano, 1/2 teaspoon dried thyme, 1/4 teaspoon coriander, 1/4 teaspoon ground clove, 1/8 teaspoon ground cinnamon and 1 bay leaf. 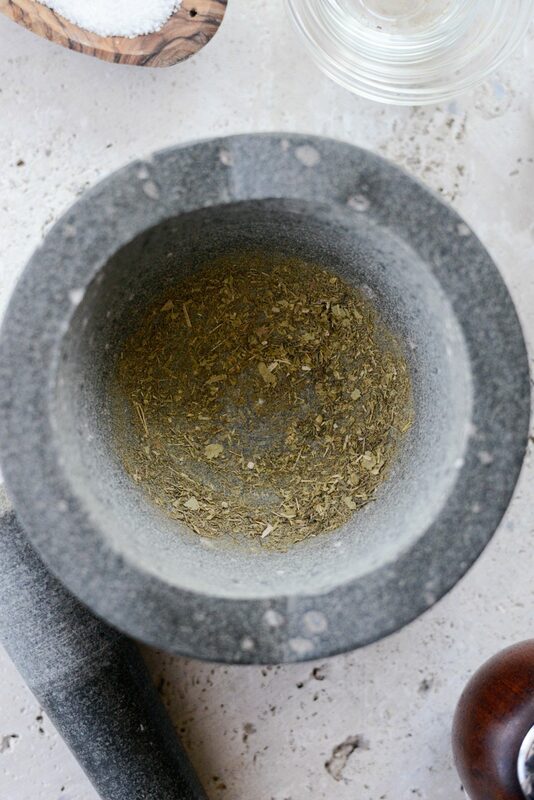 First, break up the bay leaf into small pieces and add it to your mortar and bust it up a bit with the pestle. Next add in the oregano and thyme and ground until finely ground. 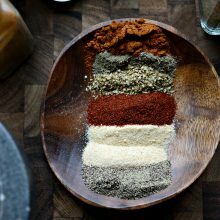 Next, measure and add all of the spices into a jar (I linked my favorite jar in the recipe printable below) and add in the finely ground herbs. 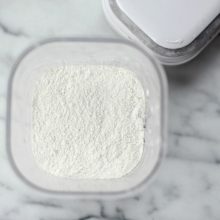 To use; measure 1 to 2 tablespoons per pound of meat or vegetables. Otherwise use more and less to your preference. Enjoy! 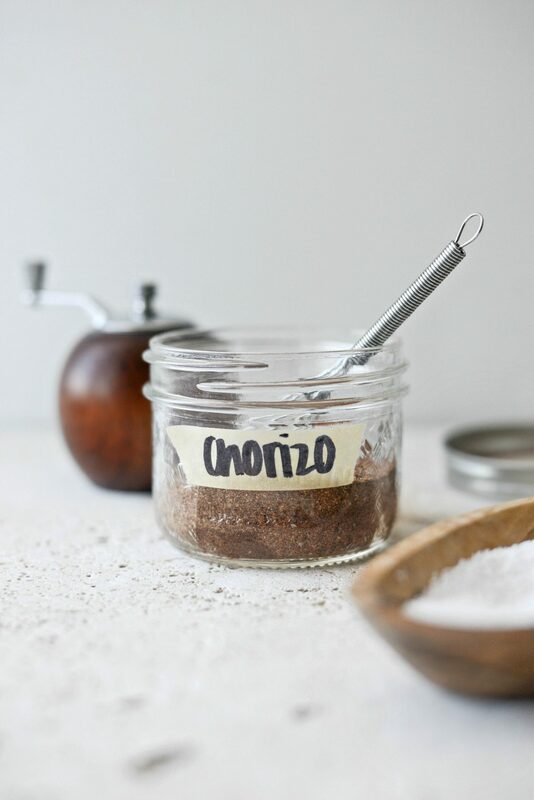 And if you give this Homemade Chorizo Spice Blend recipe a try, let me know! Snap a photo and tag me on twitter or instagram! Season meat or veggies with the robust Chorizo Spice Blend. 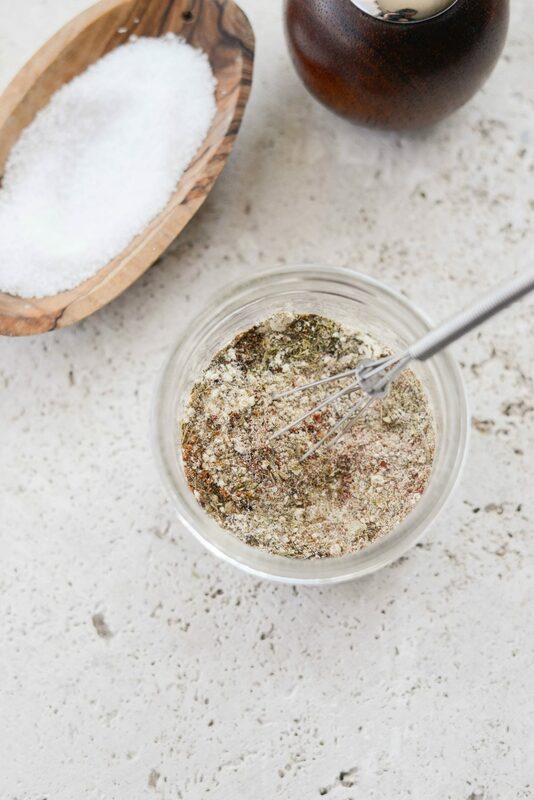 A plethora of herbs and spices combined make one robust seasoning. Perfect for any ground meat or veggies of your choice! Break up the bay leaf into small pieces and add it to your mortar. 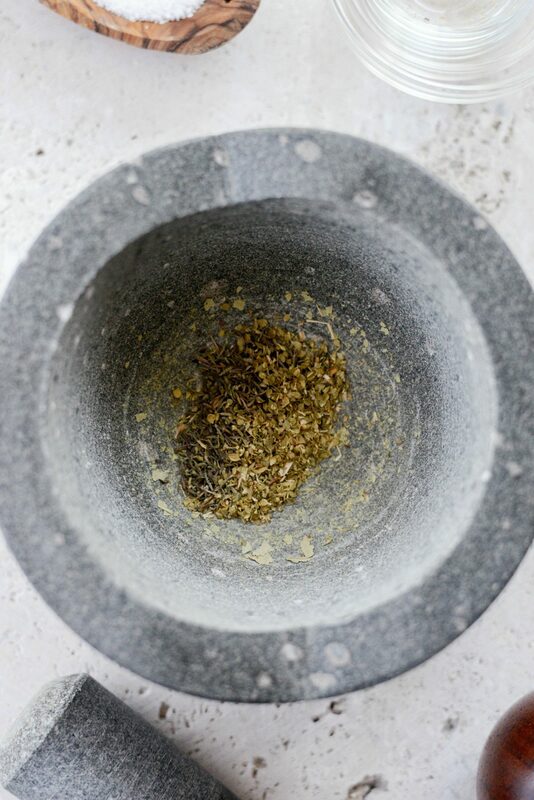 Use the pestle and grind it up a bit. Next add in the oregano and thyme and ground until finely ground. 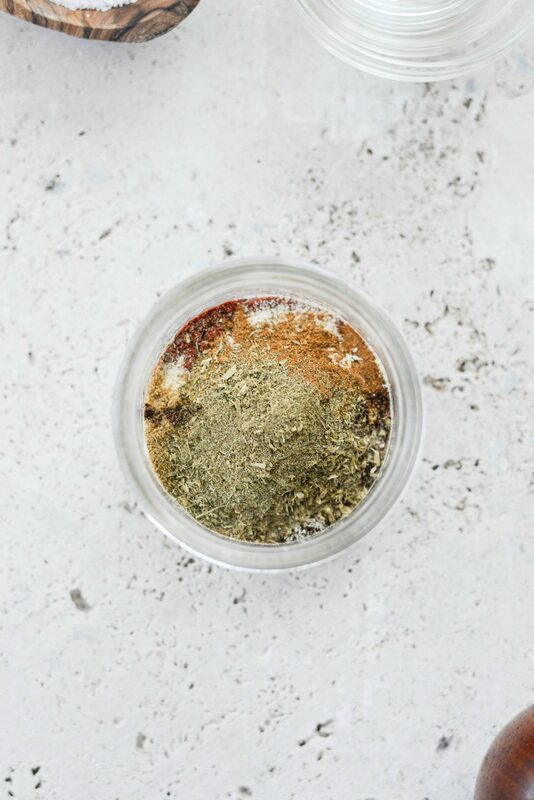 Measure and combine all spices, along with the bay, oregano and thyme in a container and stir to combine. 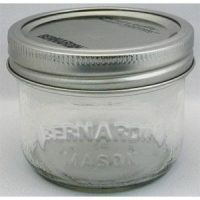 Store in a jar or container with a tight-fitting lid and store in dry, dark place for up to 6 months or longer.